Unilateral salpingo-oophorectomy : Surgery to remove one ovary and one fallopian tube. 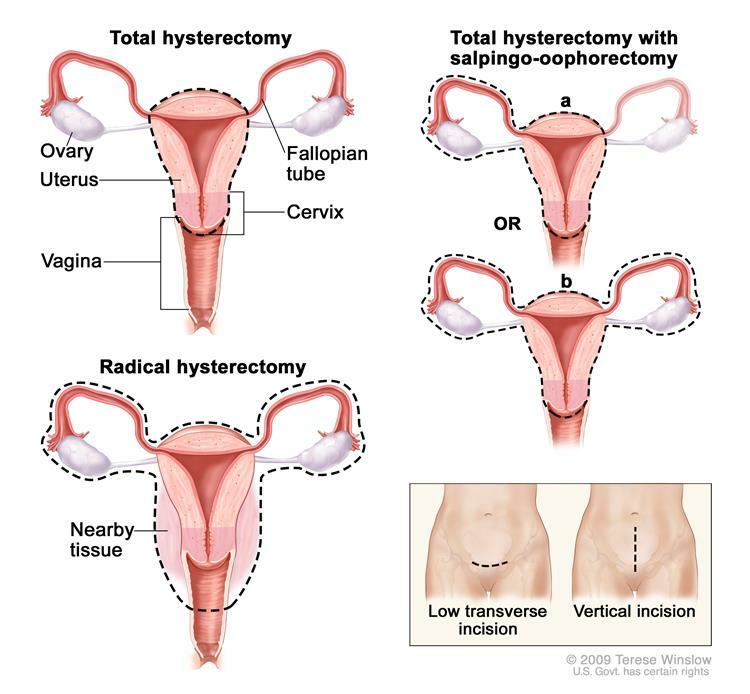 Bilateral salpingo-oophorectomy : Surgery to remove both ovaries and both fallopian tubes. Partial oophorectomy : Surgery to remove part of one ovary or part of both ovaries. Omentectomy : Surgery to remove the omentum (a piece of the tissue lining the abdominal wall). Even if the doctor removes all disease that can be seen at the time of the operation, the patient may be given chemotherapy after surgery to kill any tumor cells that are left. Treatment given after the surgery, to lower the risk that the tumor will come back, is called adjuvant therapy. Information about clinical trials is available from the NCI Web site.